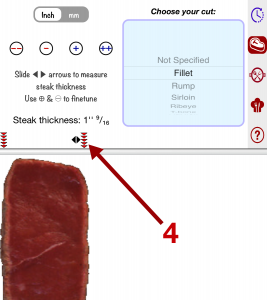 Your app has a menu to select your steak, cooking method and doneness. 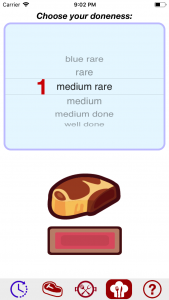 Tab on to select your steak. 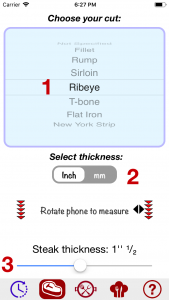 Use picker to select you method (1). tap to start the timer, follow instructions underneath it. 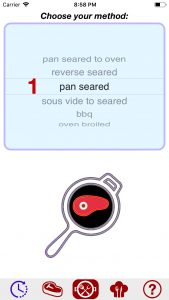 If you change your steak / doneness / method, the timer will automatically stop.